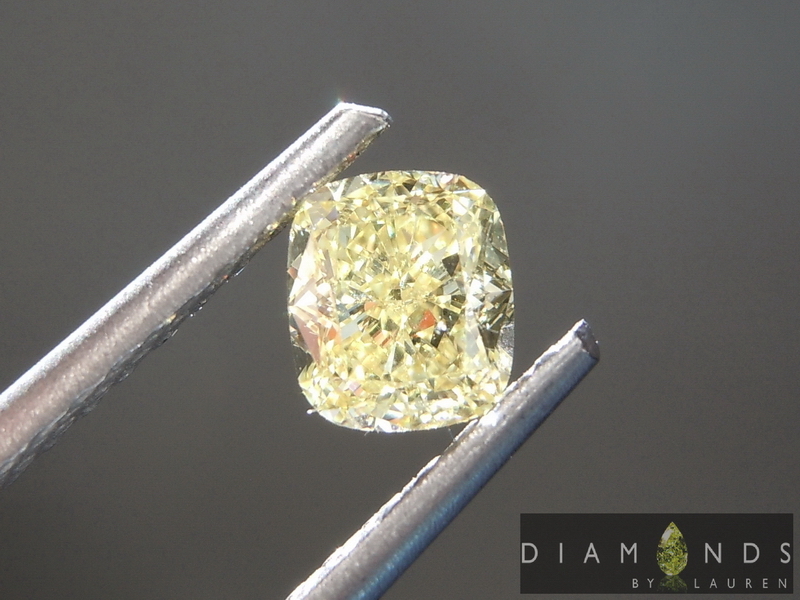 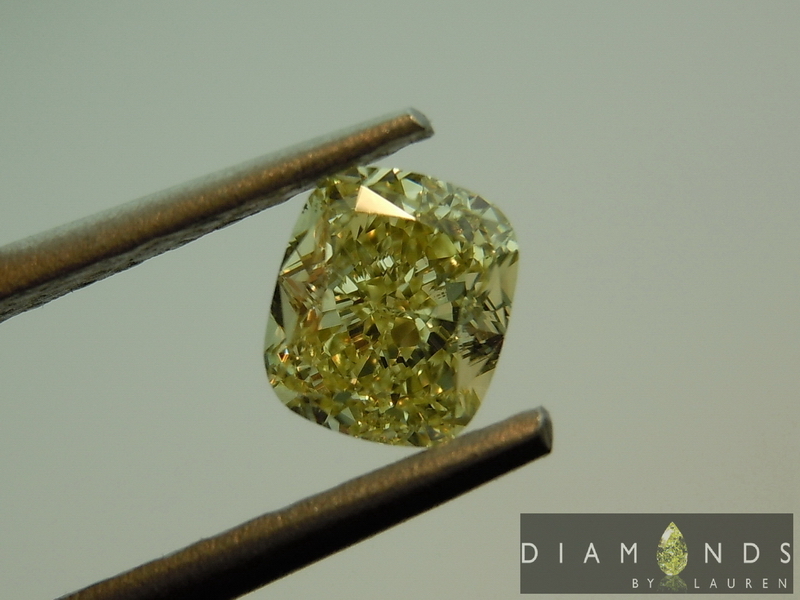 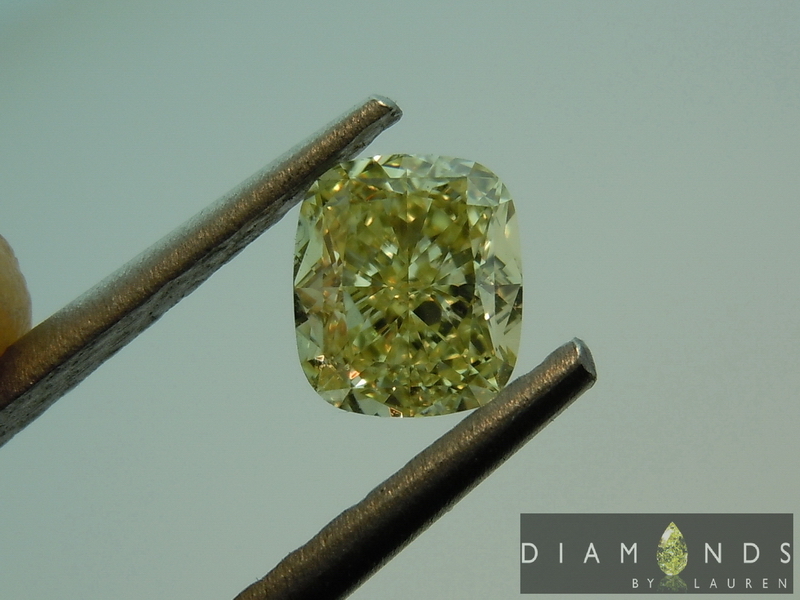 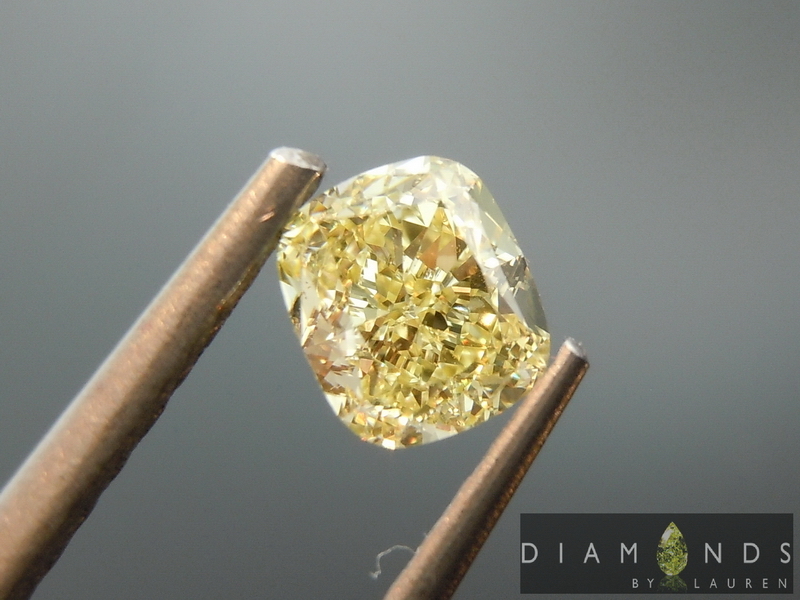 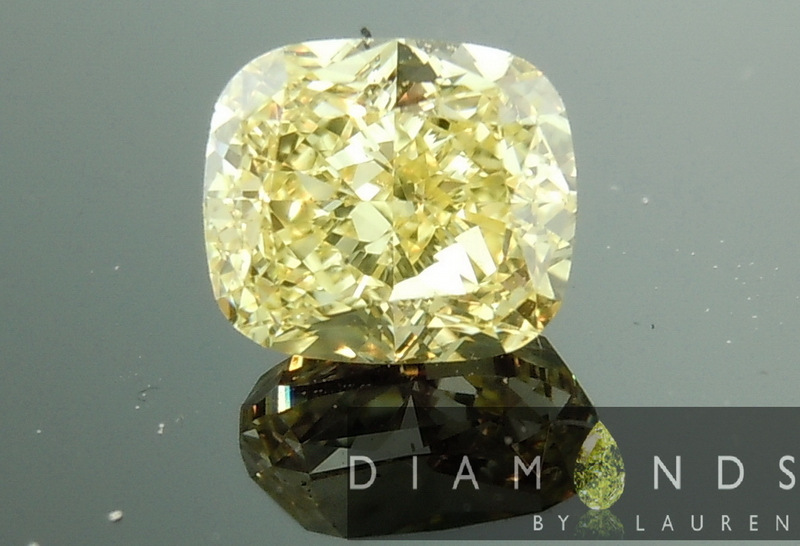 Strong rectangular shape on this cushion modified brilliant canary diamond. 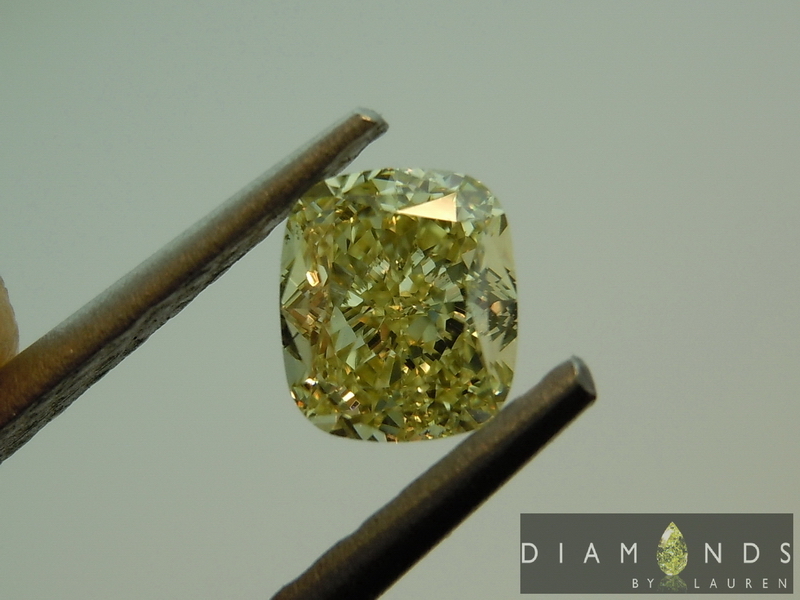 I say canary because this is one strong Fancy Yellow in terms of color - it is bright yellow and pure. 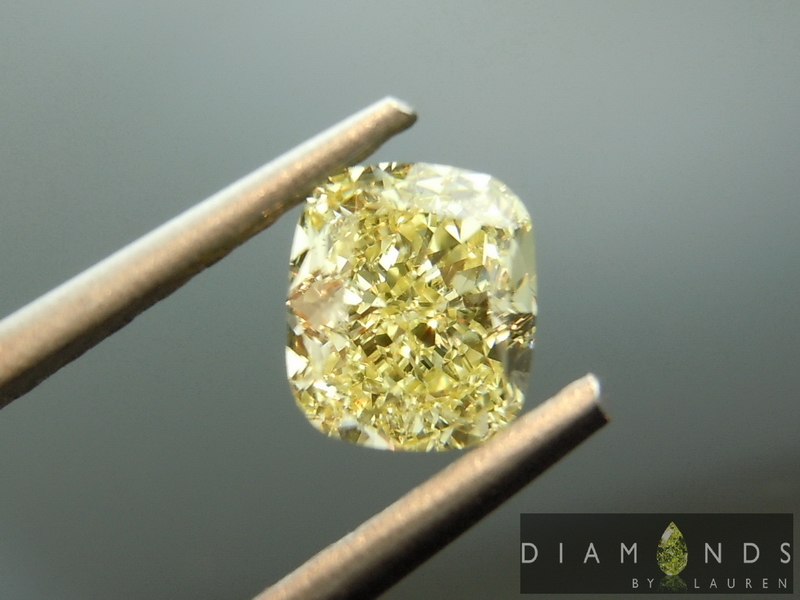 Very close to Intense Yellow.